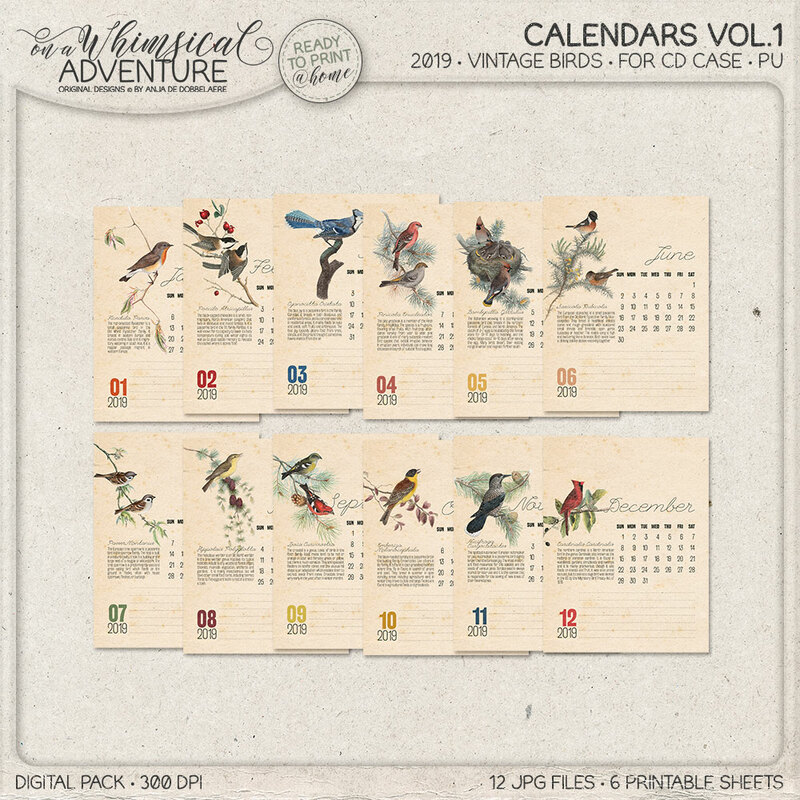 These printable calendar pages for 2019 with vintage birds will make a great bird lovers gift. 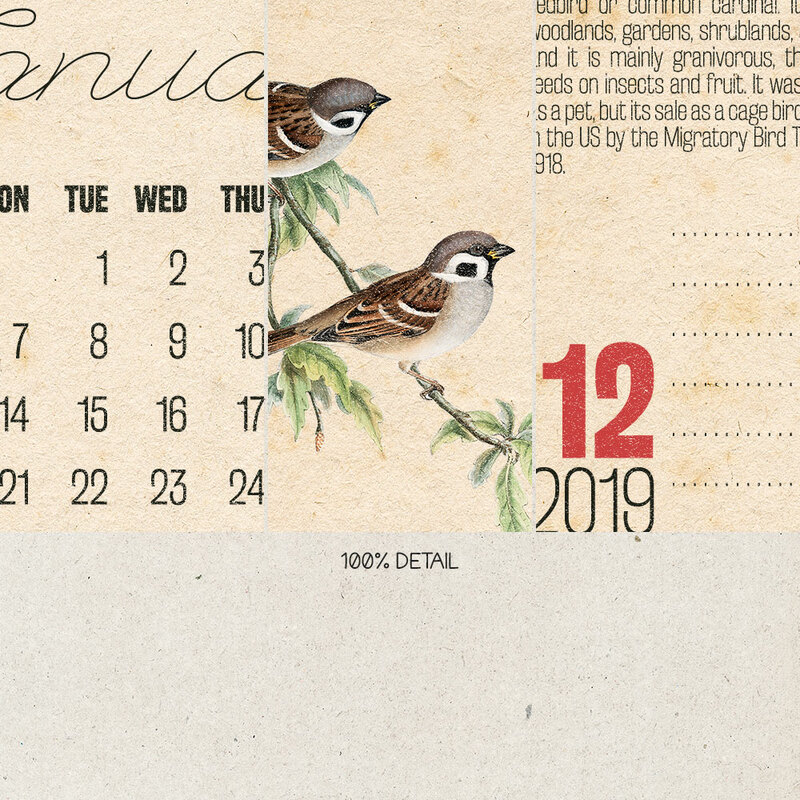 The calendar pages show a different bird every month and I've added some information about the bird that is being featured. There is room for a few notes too. 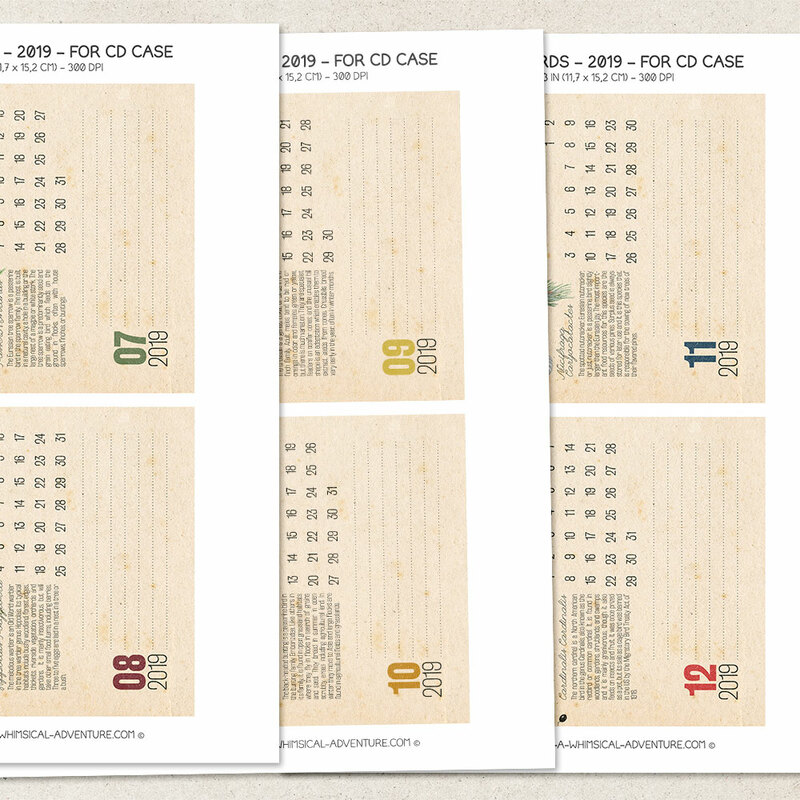 They were made for a jewel CD case. 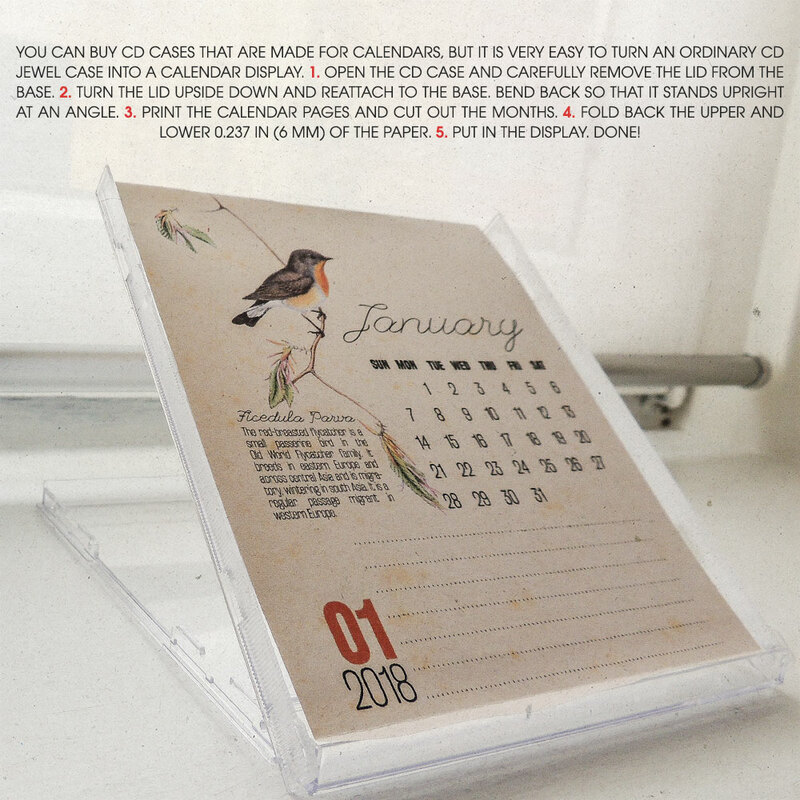 Although you can buy CD cases that are made for calendars, it is very easy to make one yourself, using an ordinary CD jewel case - I've included instructions in one of the previews. 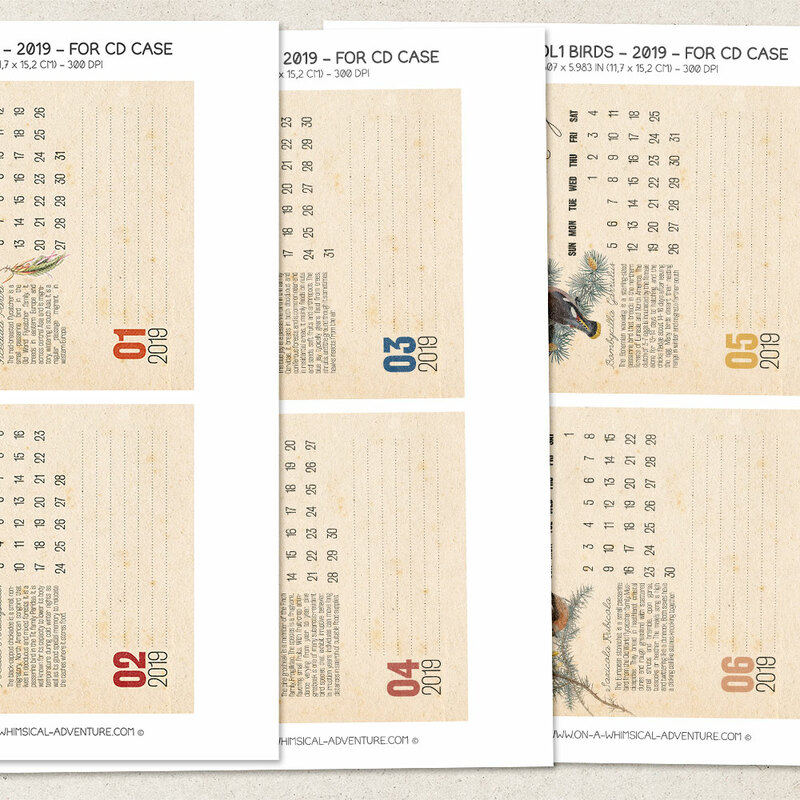 12 JPG files - size 4.607 x 5.983 in (or 11,7 x 15,2 cm) and 6 printable 8.5 x 11 in sheets in JPG and PDF. All files are 300 DPI.